Little Makers Academy acknowledges that every child is unique and we believe that success and growth come from encouragement and praise. Our teachers focus on building every child’s self-esteem and confidence through positive feedback and rewards. We nurture each child’s natural strengths through analyzing multiple intelligence and learning styles. We also follow Piaget’s theory for creating a developmentally appropriate curriculum that enhances their students’ logical and conceptual growth. Teachers emphasize the critical role that experiences–or interactions with the surrounding environment–play in student learning. For example, instructors have to take into account the role that fundamental concepts, such as the permanence of objects, play in establishing cognitive structures. Unique add on environment features include a makerspace, sensory wall, aquariums, flexible furniture, cozy corners, and natural environments. The goal of Little Makers Academy is oriented on promoting strong families, happy children, and building strong foundations for future builders and innovators. With this in mind, children have the unique opportunity to engage in Makerspace activities. 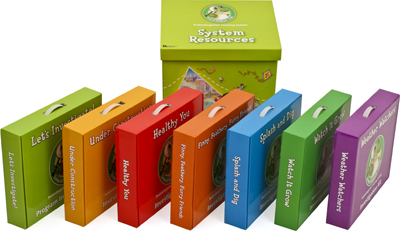 These activities encourage children to discover problems, ask questions, discuss, and solve. Projects can be as simple as creating a fort with cardboard boxes to building bird feeders, gardening, and design. This includes building things from a variety of everyday objects collaboratively. Preschool children would also benefit from the possibility of playing and programming with age appropriate Legos, magnets, and more in the field of safe scientific exploration. Little Makers Academy is tentatively using the Investigator’s Club curriculum program. Teachers also closely align the State Curriculum for Kindergarten school requirements to prepare each child for Kindergarten. Accommodations are also created through a flexible learning environment, curriculum accessibility, and low teacher to child ratios to recognize students and their differentiated needs.